April has been a month full of advancements in nearly every aspect of RPCS3. Performance boosts, graphics fixes, and compatibility improvements are plentiful. 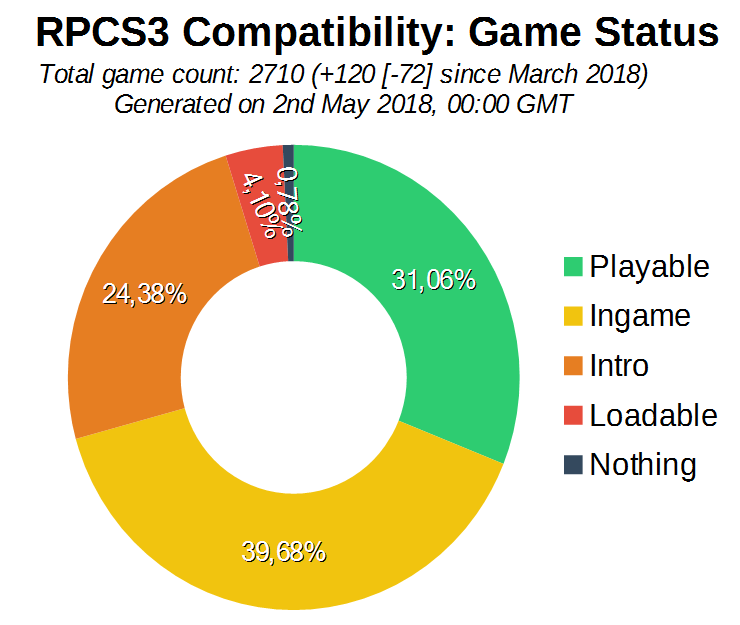 On Compatibility statistics, we can see a huge increase in Playable titles. A lot of games were retested, and many Ingame or below ones were found to now be Playable. There was also a considerable decrease on the amount of Loadable games and a slight increase in games classified as Nothing, as new games were added into the category. On Git statistics, 7 018 lines of code were added and 4 535 were removed by 12 authors.